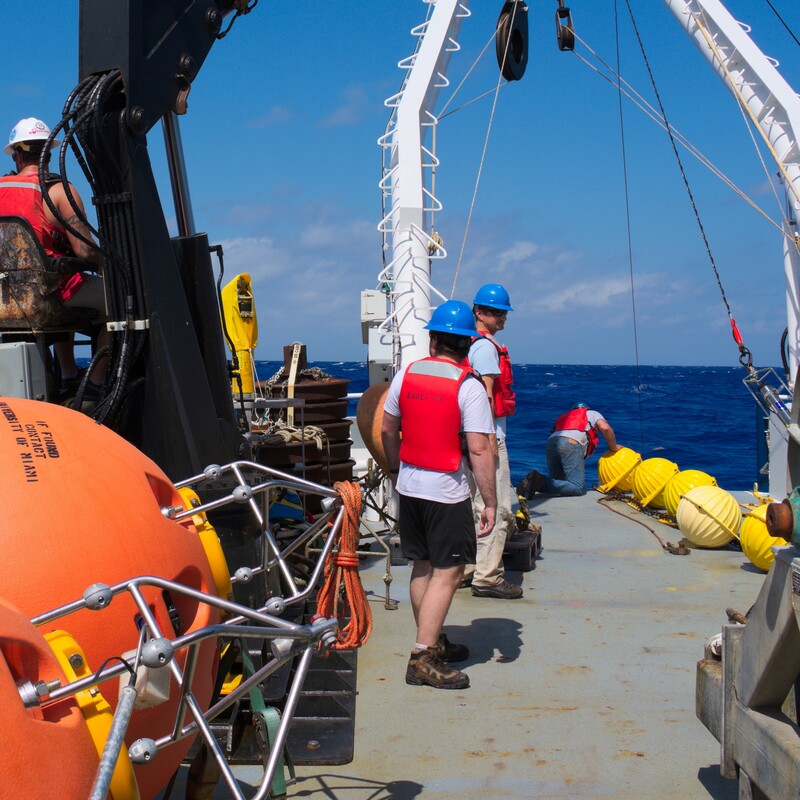 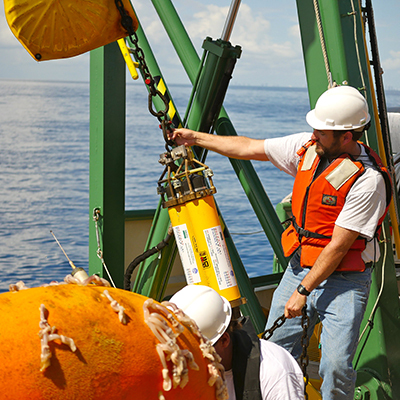 The Ocean Technology Group provides technical and personnel support for sea-going experiments locally, nationally, and around the globe. 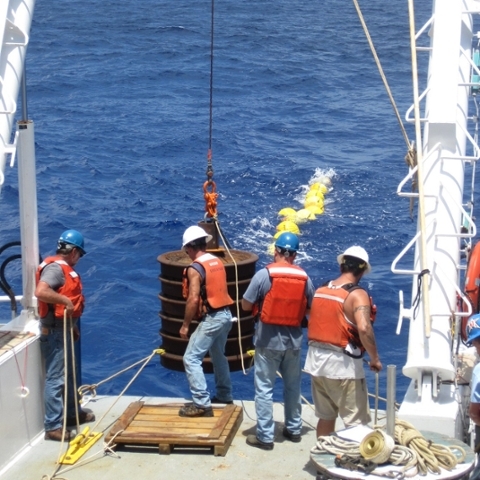 OTECH maintains a large inventory of oceanographic equipment, including approximately 90 current meters (Nortek and Sontek acoustic Doppler current meters), 16 acoustic Doppler current profilers (Teledyne/RDI) operating at various frequencies, over 130 temperature/salinity/pressure recorders (Sea-bird Electronics), 30 acoustic mooring releases, 6 C-PIES (inverted echo-sounders with current and bottom pressure), and a number of tide gauges and high-precision bottom pressure instruments. 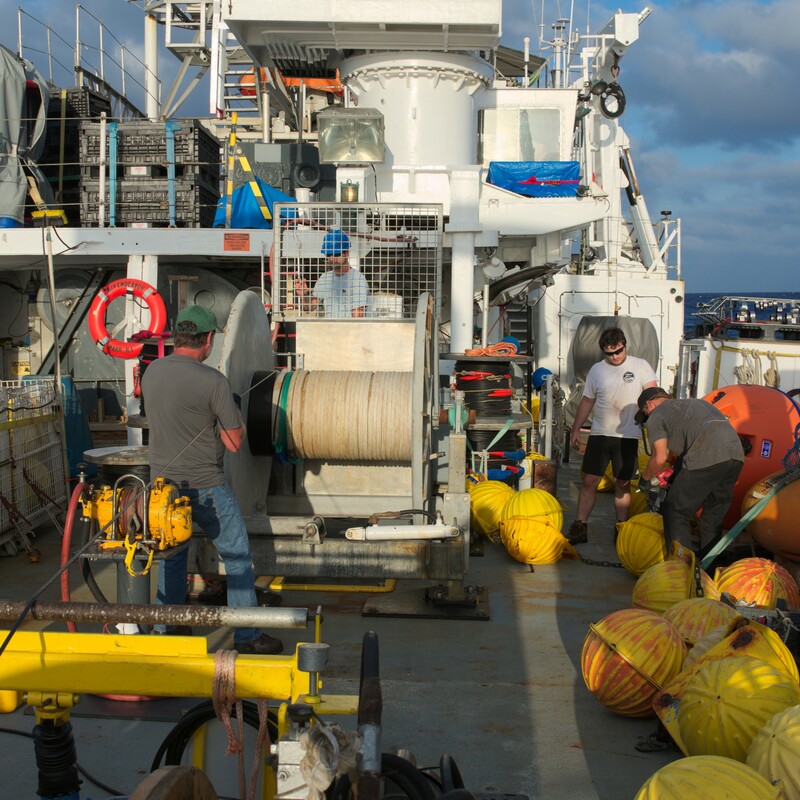 Heavy equipment for mooring fabrication (lathes, swaging and milling machines), and over 40,000 lbs. 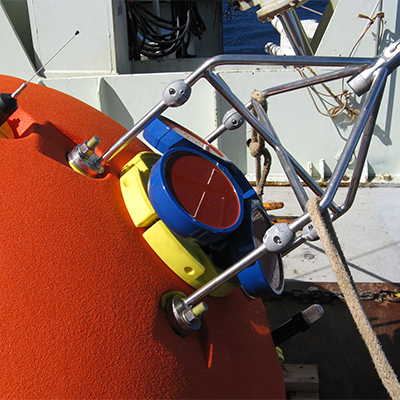 of mooring flotation (syntactic buoys; glass floats) are also maintained by OTECH.